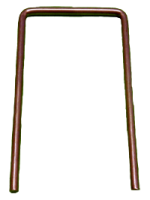 For use on long spring traps sizes #1, #1.5, and #2. 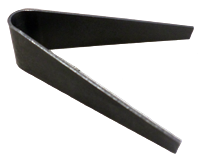 Using the Auxillary Spring will strengthen your old trap springs and makes your trap spring like new. For Bridger #1 Long Spring Sure Grip. 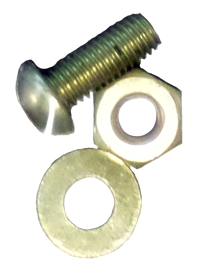 Set of washer, nut and bolt. Fits all coil and long spring Bridger traps except the No. 5. Replacement Dog for Bridger Traps. 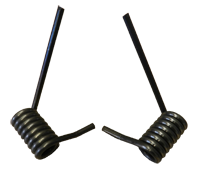 Bridger 4-Coil Springs sold in pairs to add extra spring to your trap. 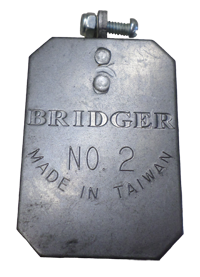 Replacement Jaws for Bridger traps. Replacement Levers for Bridger Traps. 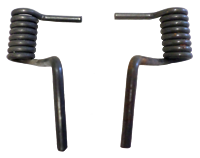 Replacement Main Coil Springs for Bridger Traps. Replacement Long Spring for Bridger Traps. Replacement Pan for Victor #1 Longspring Stoploss. Replacement Pans for Bridger Traps. Replacement Spring and Pin for Bridger #1 Longspring. Replacement Spring Pin for Bridger Traps. 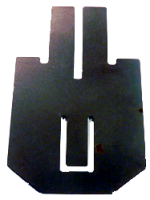 These heavy duty universal replacement dogs will fit most #1.5 thru #4 traps. Trimming is required for some traps.